So you know how Seattle's the birthplace of people dressing up like superheroes and fighting crime? 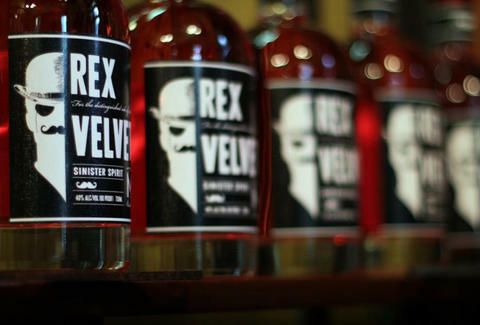 And you know how a local filmmaker then started making films dressed up as the city's first super villain, Rex Velvet? Well, now he's teamed up with Fremont Mischief Distillery to create this vodka (even designing the logos himself), which they made with winter wheat and colored red using beets, because everyone knows super villains drink a ton of red vodka.